Have all of your SEO endeavors failed to deliver the desired results? There may be two reasons behind your poor SEO performance. One, you might be doing your work in a wrong way; and the other, you might just be facing too much of a competition in your niche. In hard competitions, monitoring your SEO competitors’ success and failure will pave you a pathway to your success. This is the first step in analyzing your SEO competitors. You may have an offline business or an online business; you can make a list of your competitors by performing a Google search with your target keywords. After having this list, you can prioritize your work to compete with companies that are ranked higher and just equivalent to you. You can even hire a digital marketing agency in Dubai for this. As you frame your list, the next move is to visit those sites and assess the content. Check how they are designed; check the quality, URL types-whether static or dynamic, etc. All of such information will give you an idea about what is making your competitors’ sites surge ahead of you. Keywords are the key in SEO success. Analyzing how your competitors use them to a great effect can help you succeed. You can check whether they are using your keywords or how different are they from your keywords. You can check with keyword density and their locations such as within the headings, image tags, metatags, the URLs, etc. Upon these results, you can sharpen your own keywords and start optimizing your site for them! Backlinks are the backbones of your SEO success. You can check with their origin, number, anchor text, etc. By doing this exercise you will get to know the strength of your competitors. If you find that your competitor has backlinks from some renowned sites, you can also request the webmaster to do a favor for you! There are some popular and free tools like Backlink Summary and Backlink Anchor Text Analysis. Apart from backlinks and keywords, you can check your competitors’ Page Ranks with Google and check how well they perform with sites like Bing and Yahoo. Check the number of indexed pages your competitors’ sites have with search engines. Social media can drive good traffic to a site. 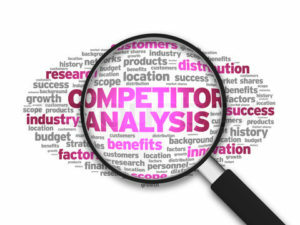 Analyzing how well your competitors are doing on social media is a tough ask. However, you can check with social bookmarking sites and get to know about their posts as well as their popularity. You can also hire one of the many digital marketing companies in Dubai to check with publicly available Twitter and Facebook profiles of your competitors, it might give you a fair idea of how they are performing on these social media networks.